Traditional Chinese Medicine (TCM) is the culmination of 2,500 years of in-depth study. A holistic practice, TCM incorporates a variety of theories, including Yin/Yang, Five Elements and Visceral Theory. TCM practitioners determine appropriate treatment based on syndrome differentiation, diagnosing disease via inspection, auscultation and olfaction, inquiry, and palpation. We divide the human body into its different syndromes and physiques in order to determine appropriate treatments to achieve optimal balance, and practitioners believe that the human body’s state is closely related to its external natural surroundings. There are various treatments within TCM designed to maintain the ideal balance of Qi, blood, Yin and Yang. 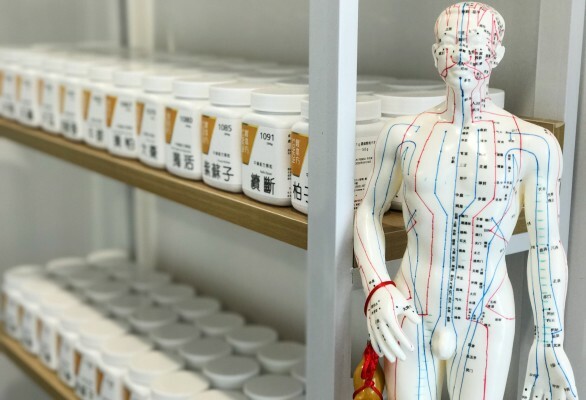 Harnessing the wisdom of Traditional Chinese Medicine, herbal prescriptions are widely used in order to maintain health. Granules of different herbs are mixed into a bespoke prescription during every visit. At UP!health, we dispense bespoke prescription of Nong’s Concentrated Granules, as well as offer CMSC herbal soup home or office delivery service. Built on the foundation of meridian and collateral theory, acupuncture stimulates the body’s acupoints, healing internal and external diseases. Acupuncture requires the insertion of thin needles into the surface of the body, in order to regulate its related meridians. This eases pain, as well as treating internal diseases like infertility, insomnia, headache, and helping with weight control. Acupuncture is suitable for adults, and children aged two and over. Ear acupressure using herbal seeds is another well-known treatment that helps to optimise balance within the body, easing pain and helping with weight control. Scalp acupuncture has been found to be helpful for recovery from stroke, and may also be beneficial to those with cerebral palsy. Moxibustion involves the burning of a moxa stick on, or near the skin at its acupoints, warming and regulating the meridians and collaterals. Widely used worldwide, Moxibustion can help to prevent disease, treat abnormal foetal position in pregnancy, ease digestive system disorders and insomnia, correct a cold physique and reduce pain. Other internal diseases such as eczema/rash, insomnia or frequent night waking, bed-wetting, developmental delays, autism, ADHD and cerebral palsy. Cupping is a treatment that uses the suction from heated glass cups to dispel waste and toxins from the body. UP!health provides cupping, along with balance cupping treatments, with specific areas including flash cupping and mobile cupping.